On 24 February, Israeli duo Rendezvous - Itai Simon and Hagai Izenberg - release their eagerly awaited album, Another Round Please, via Rough Trade / Moot Records. The album comes hot on the heels of some significant club chart successes, with their most recent single The Murf reaching number 5 in the UK club charts, and its stunning video clocking up 150,000+ views online in the space of just a few weeks (see http://vimeo.com/25584378). Another Round Please nods its hat to a wide range of influences - the early electro pioneers, classic progressive rock and chillwave; it also brings to mind the likes of Kraftwerk, Underworld and Air. 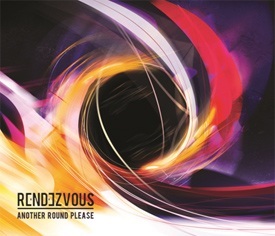 Rendezvous seamlessly and intriguingly mix a minimalistic, electro production with classic synth sounds and melodies that wouldn't be out of place on a 70s Pink Floyd record. Many of the album's tracks were recorded in somewhat tumultuous circumstances: in Israel, during the "second Lebanon war". As Rendezvous were recording, neighbouring cities and towns were being fired upon by Hezbollah missiles, and only a few miles away, Israeli planes were dropping bombs on Lebanon. This led to surreal and occasionally dangerous recording sessions, but tunes that seem to transcend the environment in which they were recorded. Another Round Please was mixed by Dave Bascombe (Kylie Minogue, Depeche Mode, Tears For Fears), whose style leaves an undeniably slick mark on the tracks. Carl Cox has also been a champion of the duo, doing 2 remixes of C Sharp and including Rendezvous on his most recent compilation. Acclaimed DJ and producer John Digweed contributed mixes for recent single The Murf. With UK coverage already in place from key radio shows, success in the club charts under their belt, support from huge producers and DJs and acclaim from the likes of tastemaker's bible DJ Mag, the future looks extremely promising for Rendezvous and Another Round Please.